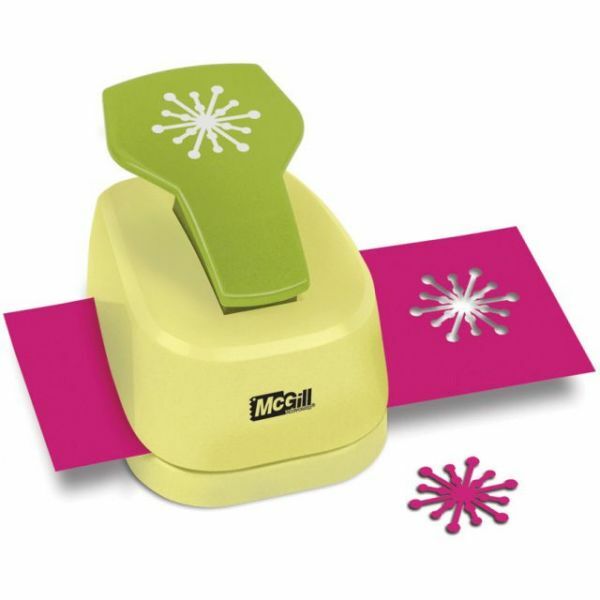 Paper Blossoms Lever Punch - MCGILL-Paper Blossoms Paper Punch. Make realistic 3D flowers from paper using the Paper Blossoms Punch System. Just punch the paper shapes, manipulate the shapes with the Paper Blossom Tool Set to add dimension (tool set sold separately), and glue pieces together. Multiple punches are needed to create each 3D flower (punches all sold separately). Each punch's shape can also be used just like a regular paper punch for all your paper craft projects. This package contains one lever punch: Starburst (1-1/4x1-3/8 inches) and one how-to booklet. Actual punch measures 2-1/4x2-1/2x3-1/2 inches. Imported.